Earth Day 2018 is coming! This year, the Earth Day theme is ‘End Plastic Pollution’. Sustainable Investment Group (SIG) has always been an active participant in Earth Day events. Thus, we would like to offer some suggestions to both individuals and project managers on how to respond to the call of Earth Day 2018! In 2015, plastic waste was 6.9 billion tons in total. However, only 9% of the waste has been recycled, 12% was incinerated, and 79% has accumulated in landfills. Plastics takes up to 1000 year to degrade͑͐3, and it does not biodegrade completely. For the non-recycled plastic, it stays on the earth a lot longer than we do. Due to poor management of plastic debris, a huge amount of plastic waste can be found in the ocean. According to National Geographic, besides the already known North Pacific Garbage Patch, another garbage patch that is larger than Mexico was recently found in the South Pacific Ocean6. These plastic wastes trap marine animals, such as seals, and are frequently eaten by animals, such as sea birds as well as turtles. It is predicted that in 2050, we will find more plastic than fish in the ocean1. The plastic waste in the landfills also causes severe environmental effects. After being exposed to the rain, the plastic dissolves and releases toxic leachate4, which leaks to the land, groundwater, and water sources nearby. Eventually, this contamination kills animals and affects human health. Plastic is produced from petroleum, which is a non-renewable resource. The production generates harmful waste to the environment: the drilling process releases numerous harmful gases. At the same time, the incineration of the 12% plastic waste also generates greenhouse gases that lead to global warming. Marine organisms are not the only victim of the plastic waste. From water source to food, we indirectly consume plastic in various ways. Plastic is not biodegradable so it is present as small plastic fragments that we cannot see. As mentioned above, plastic is present in many water sources and consumed by ocean animals. The ocean creatures are further consumed by higher level creatures. Eventually, we are the ones who absorb the accumulated plastic. The consumption of plastic is believed to cause genetic disorders, reproductive system abnormalities, cancer, diabetes, and other diseases1. For an average American who buys 167 plastic water bottles per year, they are spending $266 dollars per year. For 5 years, you will spend $1,330 if inflation is ignored. Instead, if you buy a reusable bottle and refill your water for free, you will only spend 15-40 dollars on water for the same 5 years. Additionally, we live for about 80 years, that’s a $17,290 savings5! The most exciting part about restricting plastic waste is that we can earn LEED credits by doing so! By properly implementing recycling policies, you can meet the requirement for Materials and Resources credit 1 and credit 4 easily! If you come up with creative ideas to limit plastic waste, you can also earn the Innovation point for your buildings. If you care about the earth and your health, take action now? Simple changes in habits will help a lot! 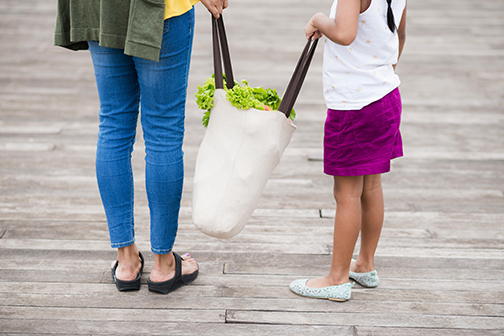 Bring your own grocery bag while shopping. Recycle your plastic items when you have to use them. Volunteer at a plastic picking event with your friends and family. Spread the word and share relevant issues on social media. Let more people be aware of the severity of plastic pollution! Install a water fountain in a common area. Hang detailed recycle instructions near trash bins. Provide reusable grocery bags for the tenants. Frequently host events that increase tenants’ awareness of plastic pollution issues, such as trivia, a monthly e-mail of fun facts, and more! Set a common goal to reduce plastic usage for your building, and give everyone some rewards when the goal is reached!